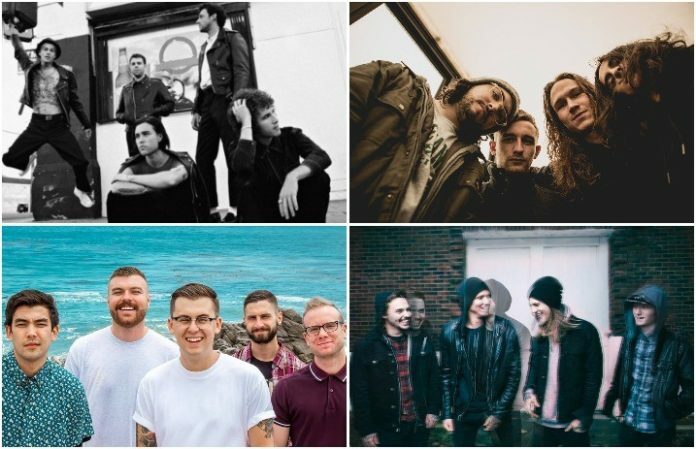 Watch new music videos from Sink The Ship—plus, don’t miss Homesafe’s new song. Check out the news you might have missed today below! The Neighbourhood are hitting the road again for a North American and European tour. You can purchase tickets on May 11 here. Easycore band Sink The Ship released a brand new music video for their song “Out Of Here.” The song is taken from the band’s new album, Persevere. You can pick up your copy of it here. Seaway announced that they are playing Big Slam 2018, a skate, beer and music festival in Calgary. They will be playing with Lagwagon, Little Destroyer, Whitey Houston and more on July 14. Get your tickets here. Illinois rockers Homesafe premiered their newest song “Run” with New Noise Magazine. The band’s new album, One, will be out on Pure Noise Records June 29. You can preorder your copy of it here. Metal band Varials just released their newest music video for “Empire Of Dirt.” This song is from their debut album, Pain Again. Pick up your copy here. Out on No Sleep Records, Blue Haven released “Shade,” a light indie-pop track from their upcoming album, Volume One, out June 15. You can preorder it here.